TEAM REGISTRATION FOR OUR SUMMER TOURNAMENT IS NOW OPEN -- PLEASE CLICK ON "SUMMER TOURNAMENT (REG)" ON THE LEFT. REGISTRATION FOR THE 2019 SPRING HOUSE LEAGUE SEASON IS STILL OPEN FOR AGE 12 AND UNDER LEAGUES. CLICK "REGISTRATION (REG SEASON) TO THE LEFT AND FOLLOW THE INSTRUCTIONS. LOOKING FOR HFLMYB LOGO MERCHANDISE? IT MAKES A GREAT HOLIDAY GIFT. HFLMYB offers baseball to approximately 400 children and teens in Honeoye Falls, Lima, Mendon and the surrounding area. Opportunities to play start at age 4 and continue through age 17. "League Age" for the spring house league is determined as of April 30 of the year of league play (with the exception of "Juniors" and "Seniors" divisions where August 31 is the determining date). League play, travel teams, tournament teams and “Fall Ball” opportunities provide a range of competitive alternatives and allow those who are so inclined to play from spring to fall. HFMYBL Inc. is a 501c(3) not-for-profit organization. The league is run by a volunteer board, which currently consists of 19 members. 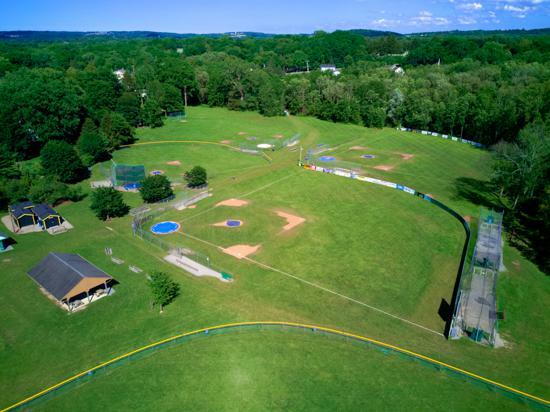 The league is self-funding using registration fees and other activities to maintain its baseball complex of eight fields (seven in Mendon and one in Lima), purchase equipment and uniforms, pay umpires and conduct tournament play. The league receives no government subsidies to support normal annual operations. Due to irrigation work, Fields A, 1 and B are CLOSED. Fields 2 and C are OPEN.